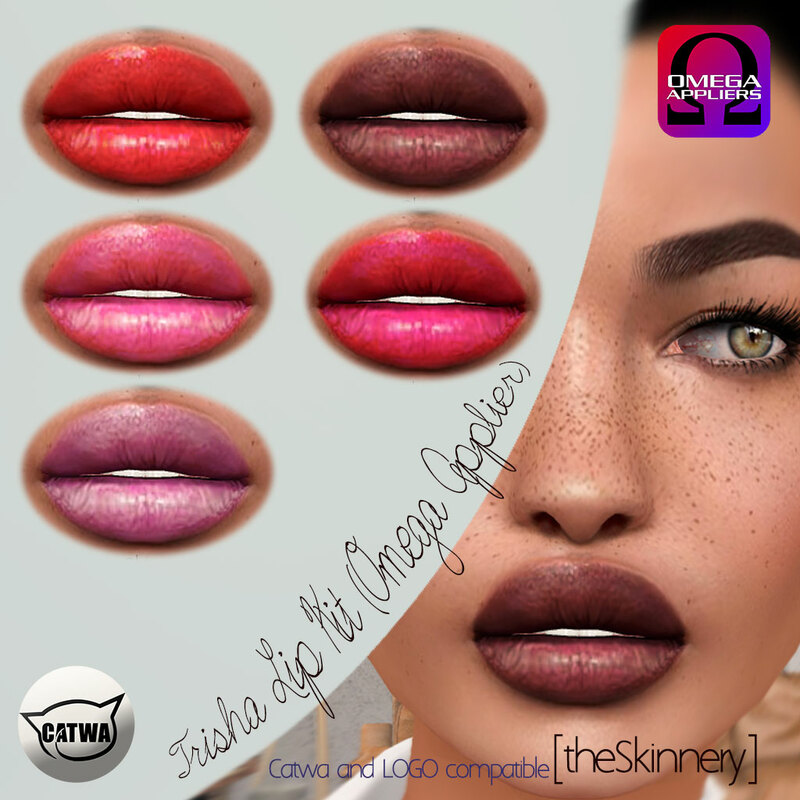 Compatible with most of CATWA and LOGO heads and perhaps with other mesh heads that use Omega and i havent tested, must try demo. She comes in honey, toffee, mocca, brownie and ebony skin tones (system base skin - no face - included) and has the following options : no brow, dark brow, freckles and hairbase on skin! Separate you can purchase the compatible lip kit in 5 summery shades.